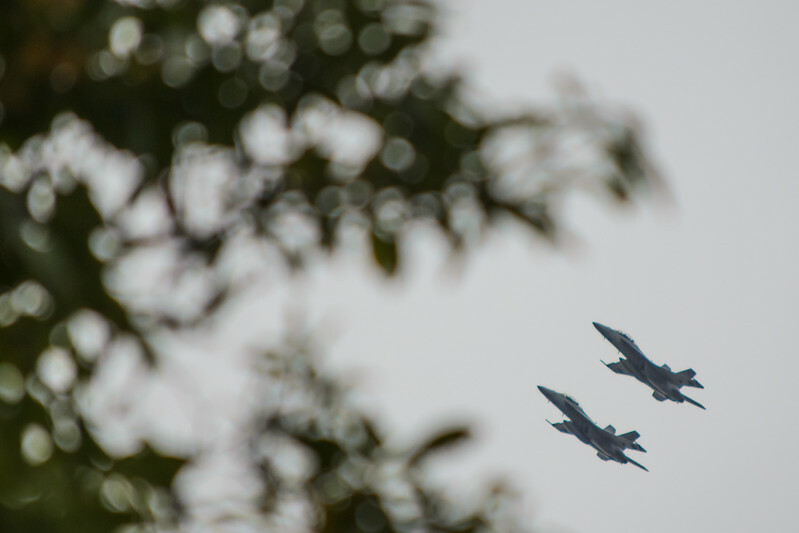 Fighter jets circling my 'hood in Pasadena this morning before their flyover of the UCLA-USC at the Rose Bowl. Click above to see larger. And please visit my SmugMug site, repository of my other (ahem, brilliant) photographic efforts. And follow me on Twitter.